I am down in New York City with Maria shooting the Mercedes Benz Fashion Week. Maria actually got to shoot a little as I had her shoot some wide angle shots. 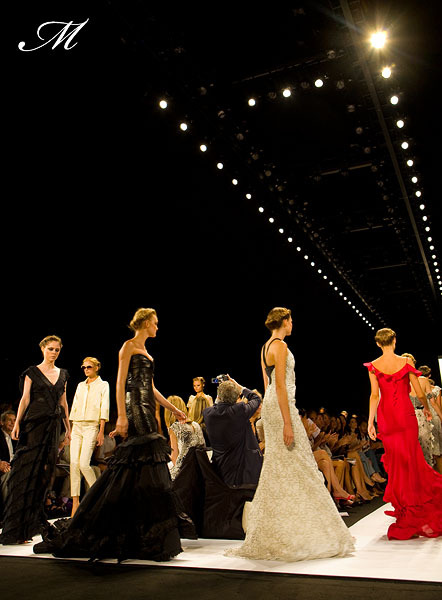 Today we shot the Carolina Herrera show, Peter Som, and Luca Luca show for Wedding Style Magazine. Maria's first Fashion Week Picture at the Peter Som show. Of course a little bit of good editing by yours truly and 'voila'... new superstar photographer!